We have bought furniture for our hotel in Kerala from House Of Furniture, Jodhpur and the quality and design of furniture has added an extra feature to the overall look and feel of the hotel. Really appreciate their quality and timely deliveries. We recommend House Of Furniture for all hotel furniture projects. 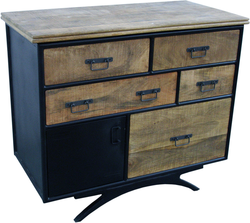 In Industrial Furniture, House of Furniture has mastered the art of manufacturing and finishing. The varieties in finishes and designs are very interesting.